Since the start of Winter, I’ve been yearning to go on a snowy Winter’s hike. 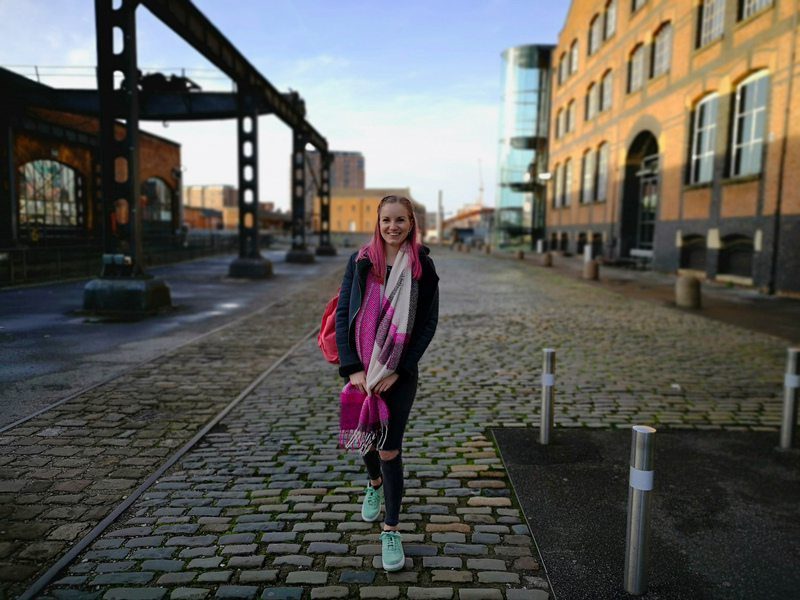 For the most part of December and January it seems as though the cold weather has been in hibernation, stubbornly refusing to do anything other than rain. 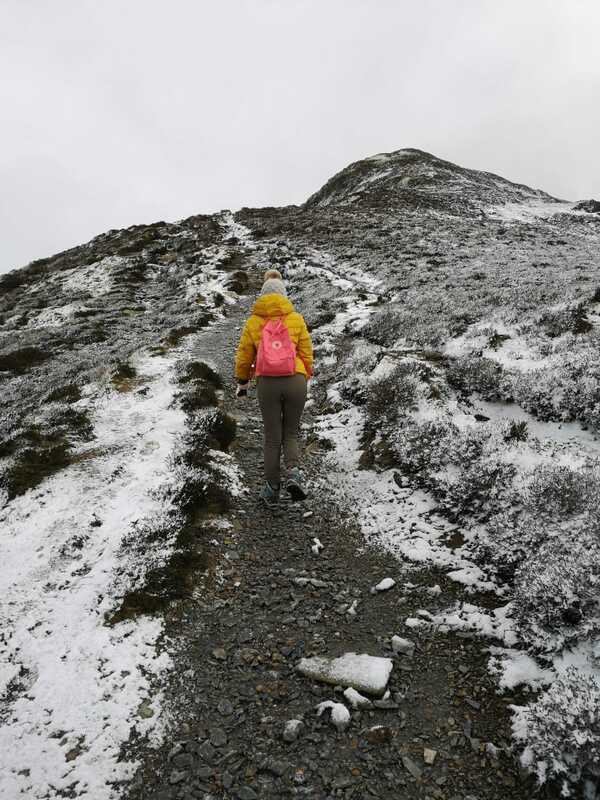 But finally, it looks like Winter has decided to join us so we took it as the perfect opportunity to get outdoors at the weekend for a snowy hike in the Lake District. 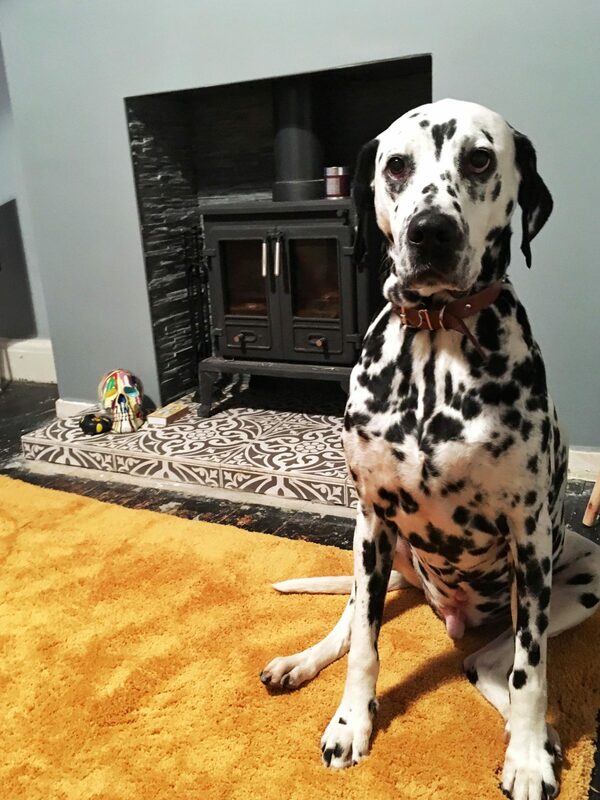 I was trusted with choosing where we would go for a walk. Admittedly, I’m probably not the best person to entrust with planning hikes. No matter how carefully I think I’ve planned the walk, there’s still a chance that it could be a 5 hour drive away or the actual walk would be 26km long. This time, I was determined that I would plan a hike that ticks every single box. 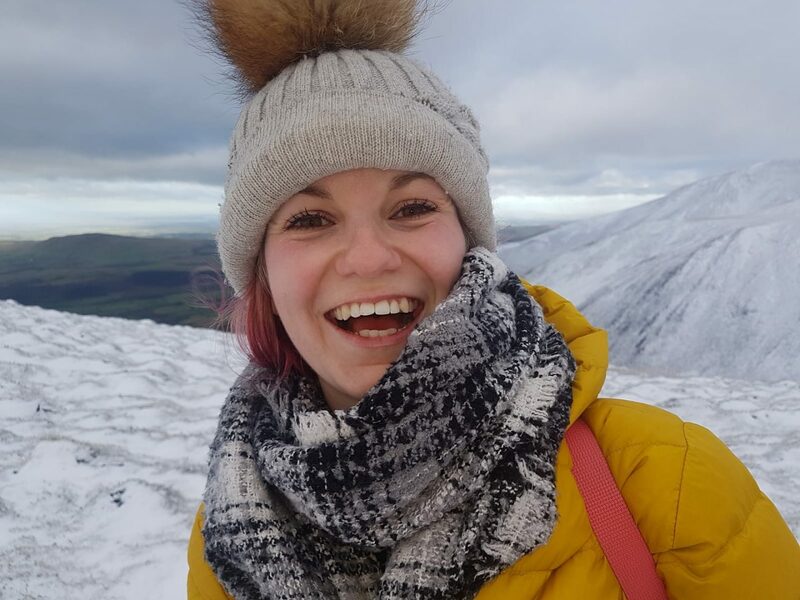 And that, ladies and gentlemen, is how we happened to end up embarking on a hike up Skiddaw in 60mph wind, snow flurries and temperatures that felt like -14 degrees celsius, all whilst cutting it fine with the sunset. We parked up in the quaint little village of Bassenthwaite, tightened our walking boots then set off walking back up the country lane to begin our ascent. The night before our Skiddaw hike, I downloaded an app called Komoot and mapped out the route I knew I wanted to take. This was mainly helpful in guiding us from the centre of the village to the base of mountain for our hike. The first 30 minutes of our walk consisted of farmer fields and stiles. Thankfully, the Komoot app kept us on the right path by providing directions. Although, I didn’t religiously check the app so there was a point where we went too far and instead of doubling-back on ourselves took a shortcut up a steep hill to get back on the right track. If you’re anything like me, where your sense of direction is almost non-existent, I highly recommend Komoot. I think I’ll be using it a lot more in the future and I really enjoyed that it gave you information about your walk such as when you reach certain waypoints, current elevation and your time and distance left. Although, I did find that if I put my phone in my pocket, the app would automatically shut down causing me to lose track of my progress so if you want to use the app to track your hikes, keep this in mind. If you’re looking to bag the Wainwrights, then this hike provides the perfect opportunity to tick a few off your list. Starting from Bassenthwaite, you can tick off 4 Wainwrights starting with Ullock Pike. 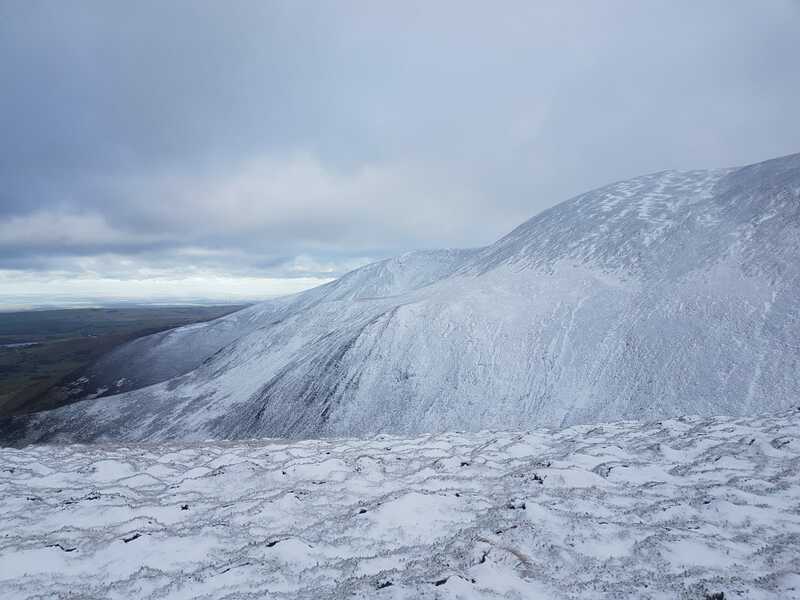 Ullock Pike boasted beautiful winter views over Bassenthwaite lake and out towards the mountains beyond Skiddaw. I was seriously grateful to be hiking on such a clear winter day…it seems rare to be blessed with such clear skies lately! Ullock Pike was a relatively leisurely incline with grassy ground to walk on. Though, the occasional icy patch made it a little bit slippy in areas. After Ullock Pike, lay Longside Edge. Here, the path got a lot more snowy and icy. Reaching a height of 734m, Long Side boasted a fairly gentle ascent up the rocky ridge. In parts, the path thinned (as you would expect with any ridge walk!). With that said, it was surprisingly wide for a ridge walk meaning it would be a comfortable ridge walk for even the least confident of hikers, in my opinion. The only thing that made Long Side difficult was the brisk cold wind teamed with a burning hunger. Taking shelter behind a small rock, we crouched down and delved into the bag of supplies to fuel up before taking on the open plains of Carl Side and the steep scramble up to Skiddaw. Looking back, Long Side looks seriously impressive. The ridge looks deceptively sharper and narrower than it actually is to walk along. But, with the temperature being reported at feeling like -14°c, we pushed on as we could feel the cold. Like with any Winter walk, we felt wildly under-prepared. 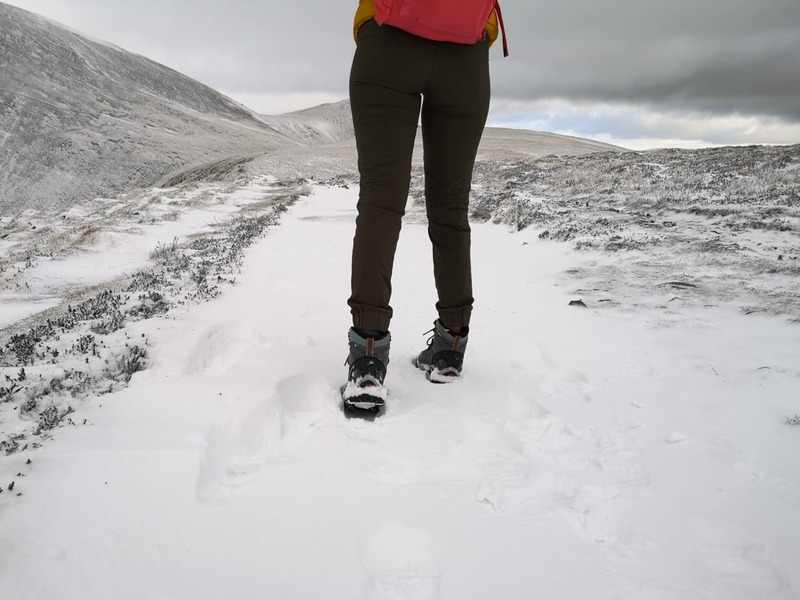 One day, we may actually have all the right equipment and clothing for a British winter hike. But until then, we’ll find ourselves exicitedly heading out to the great outdoors then cursing ourselves at the top for being ill-prepared. Carl Side offered a moment of serenity on our walk. The wide, open fields of Carl Side allowed us to truly appreciate how vast and peaceful our chosen route was. 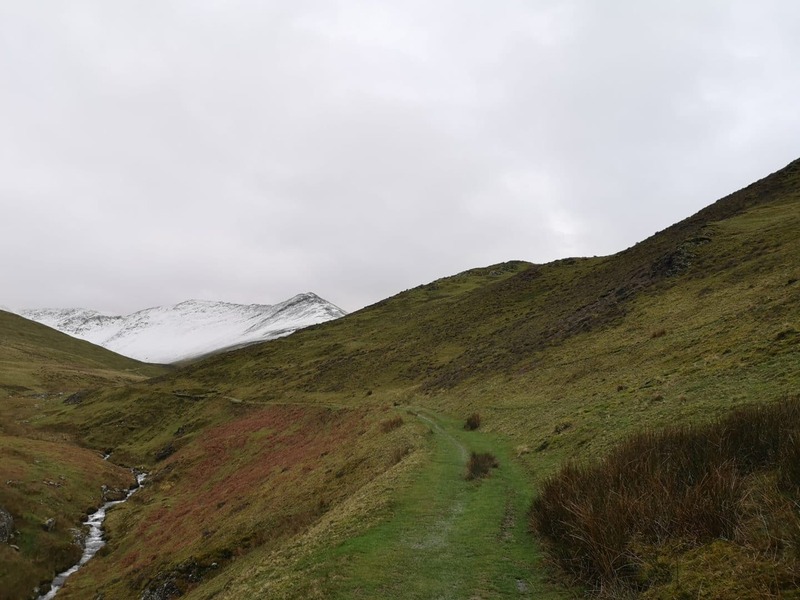 With it’s mix of terrain and routes, I could already see why it was reportedly Wainwright’s favourite route up to Skiddaw. Carl Side tarn has frozen over in this weeks cold weather, so we found ourselves walking over the top of the almost indistingusable tarn. 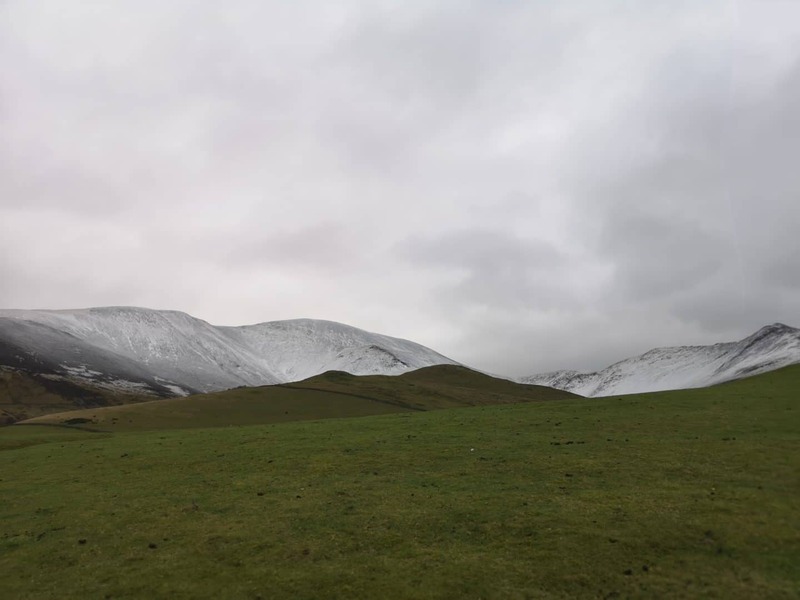 As we looked ahead, the steep ascent to Skiddaw looked menacing. 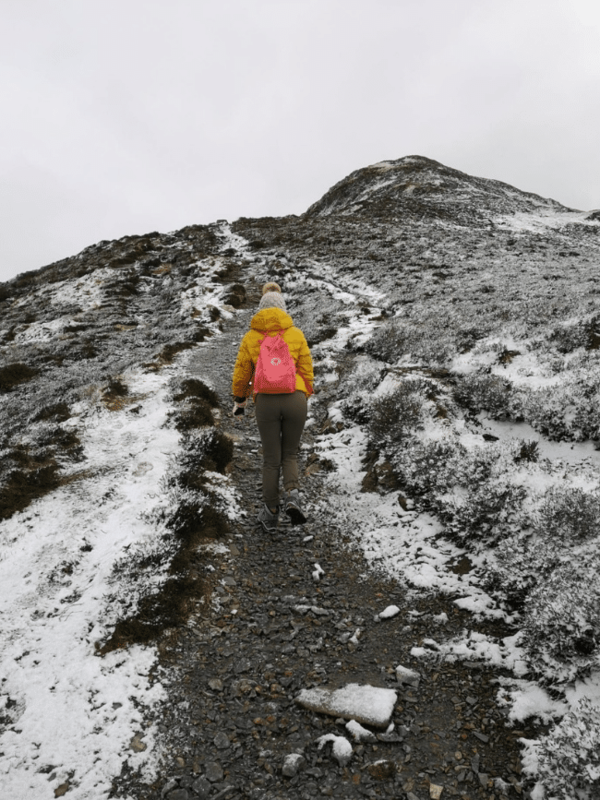 The steep scree path was coated in a thick layer of snow which, teamed with walking into 60mph winds, made the hike up to Skiddaw more difficult than it should have been. Without crampons, ice picks or any kind of equipment, we found ourselves slipping back down the steep slope on numerous occasions. The wind would take our breath away making the steep scramble even more gruelling. 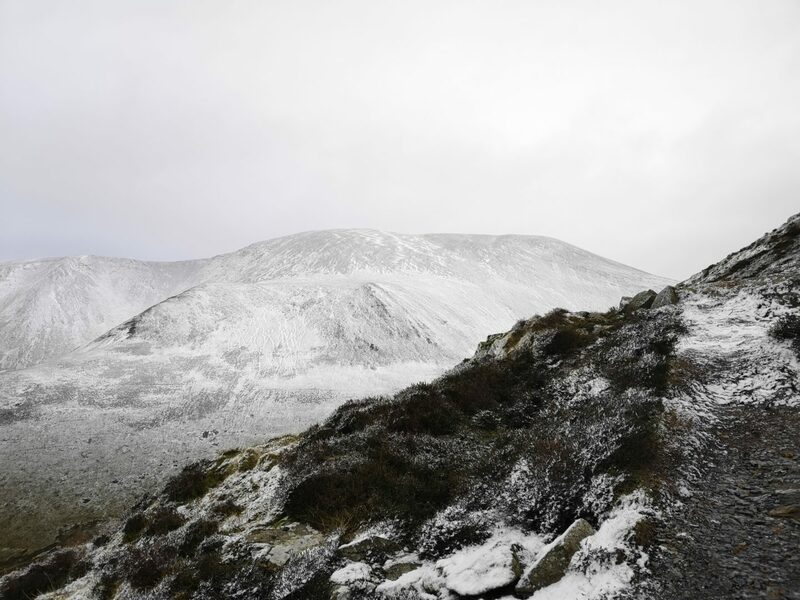 Of course, this part of the walk isn’t normally a scramble but the snow and wind combination made the ascent an bit more slippy than usual so to prevent sliding back down the hill, we occasionally found ourselves crawling to the the peak of Skiddaw. By this point, my hands were too cold to even think of removing my gloves to snap some photos on my phone. So, from here onwards, there’s a distinct lack of photographs. But trust me when I say, the views from the top of Skiddaw were truly breath-taking (and not just because of the wind!). 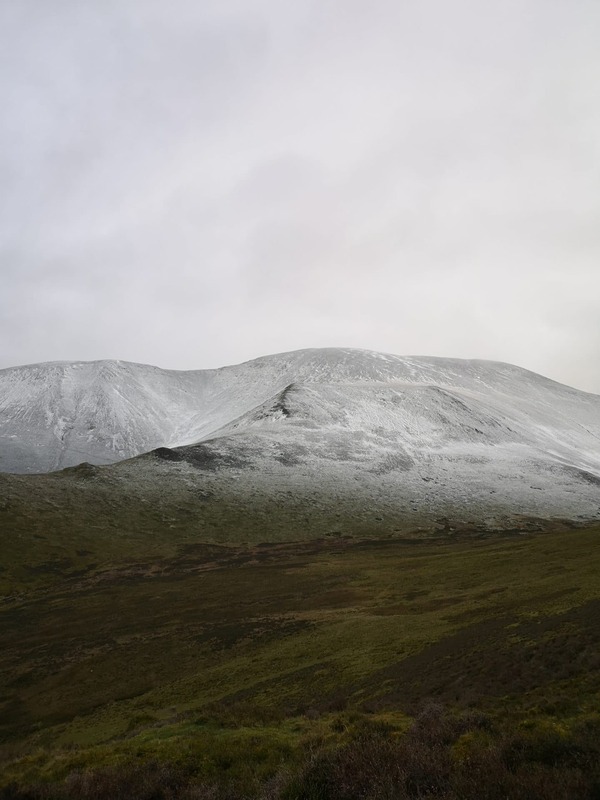 The hike up to Skiddaw was exhilarating and treacherous. 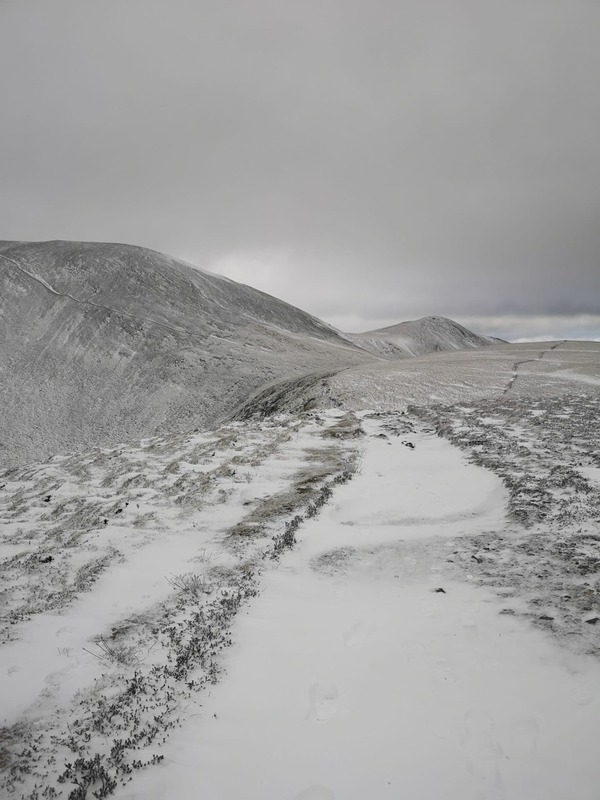 So much so, that I think it’s easily found it’s way onto being one of my favourite winter hikes along with Helvellyn. After reaching the summit, we headed north to the Back O’ Skiddaw to begin our descent. We passed by Gibraltar Crag then followed the farmer’s fence down towards Bakestall and Dash Falls. It wouldn’t be a winters hike without me falling at least once. So, on our descent from Skiddaw, I slipped and fell landing ever-so-(un)gracefully flat out on my back as though I was ready to make snow angels. 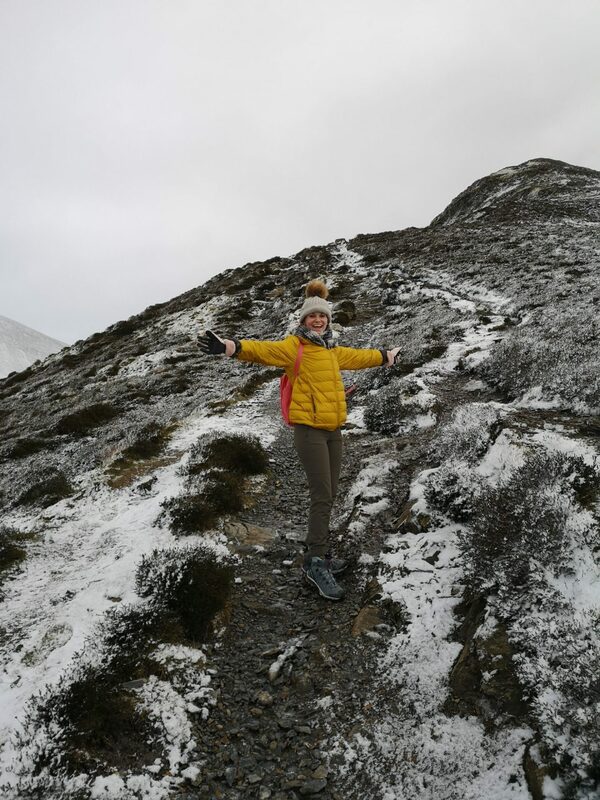 This part of the hike through Back O’ Skiddaw offered vast views of the wild outdoors and filled my heart with content…even when laying on my back after sliding down the hill due to my own sheer clumsiness. Dash Falls looked seriously impressive as the water sprayed back up over the waterfall’s edge due to the forceful winter wind. Meanwhile, the wide footpath winding back down towards the village lay sheltered by the equally impressive Dead Crags offering us a much-welcomed moment of peace from the 60mph winds that we’d endured for the past 3 hours. Following the path back down towards the village, we soon rejoined the country lane we started on just as the skies started to darken, ready for the night ahead. From there, we made a beeline to the Sun Inn so we could warm our hands and thaw out before embarking on the drive back home. 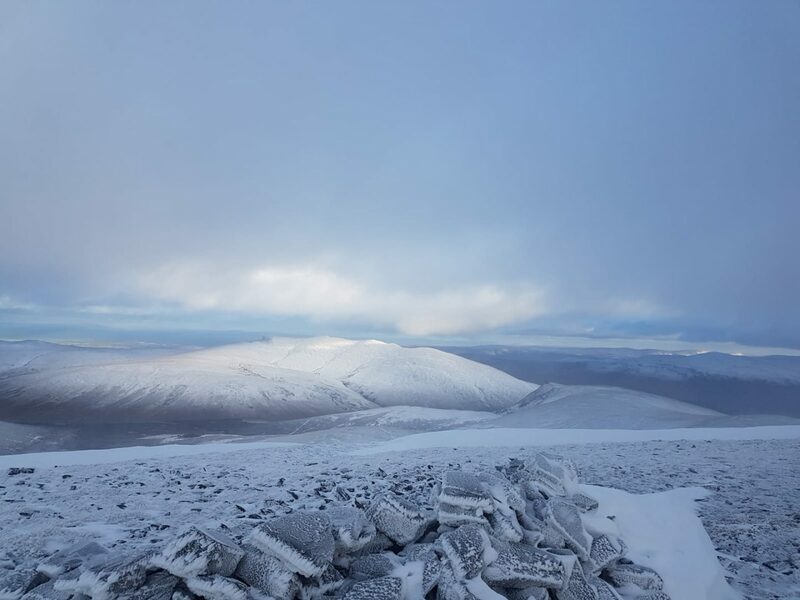 All in all, the approximate 9.6 mile hike took us 5 hours and was filled with laughter, amazing views, Wainwrights to tick off the mental-list, snow and a treacherous winter wind that made the walk even more rewarding to complete. You’re a bloody nutter! Was gonna ask if you fell over haha, I would’ve ended up on my backside at least 10 times. Looks so pretty but freezing! Haha, it wasn’t my most well-thought out route…but then again, when have I ever carefully thought out a plan?! It was fun but yep, 100% included falling over! We should definitely go on a Lake District walk over summer at some point!